The mouse comes packaged in a very stylish display box which shows the Mamba off like a fine work of art. 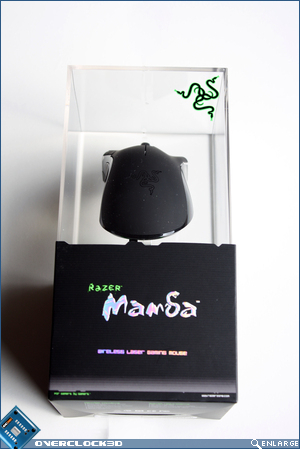 Razer have opted for a minimalist design allowing your eyes to be drawn straight to the Mamba itself. 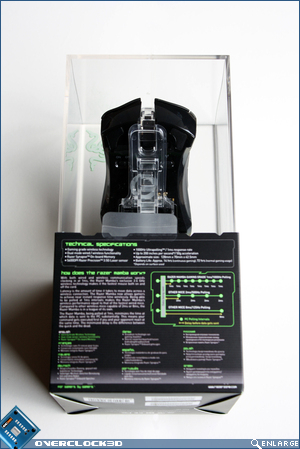 On the back we have the technical specifications in the usual Razer-esque font along with a small description on how the mouse works which is accompanied by a diagram. 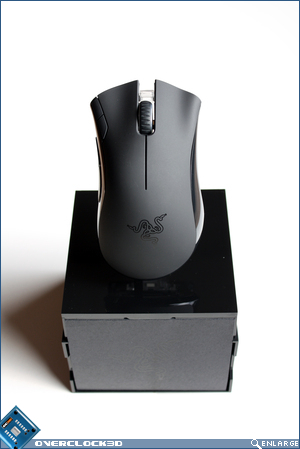 If you look closely you can see how the mouse is mounted to the plastic stand. Removing the cardboard cover we are greeted with a small black sheet that reads "Welcome to the Cult of Razer." I didn't know I was paying to become a member of a cult. Buy hey, I'm not complaining. 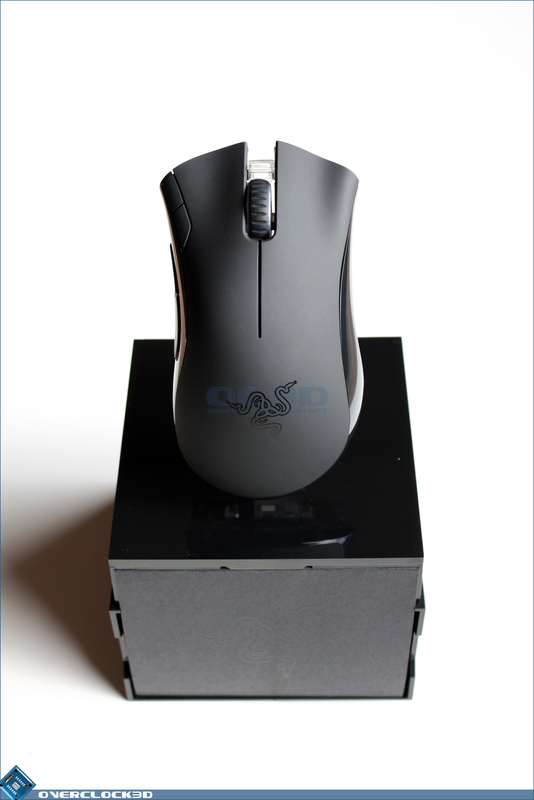 With the plastic shroud removed (which proved to be a task in itself) it was apparent how beautiful the mouse looked on it's stand. Love at first sight. The accessories came in separate slide out boxes with tabs to help pull them out. 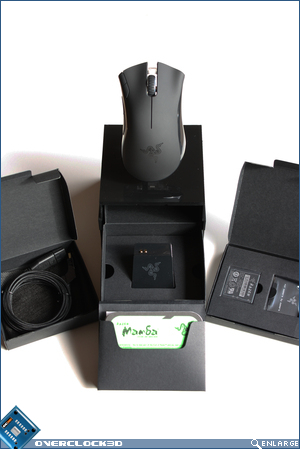 From left to right we have the gold plated USB cable which has been fully sleeved, the charging station and the battery along with a battery cover. 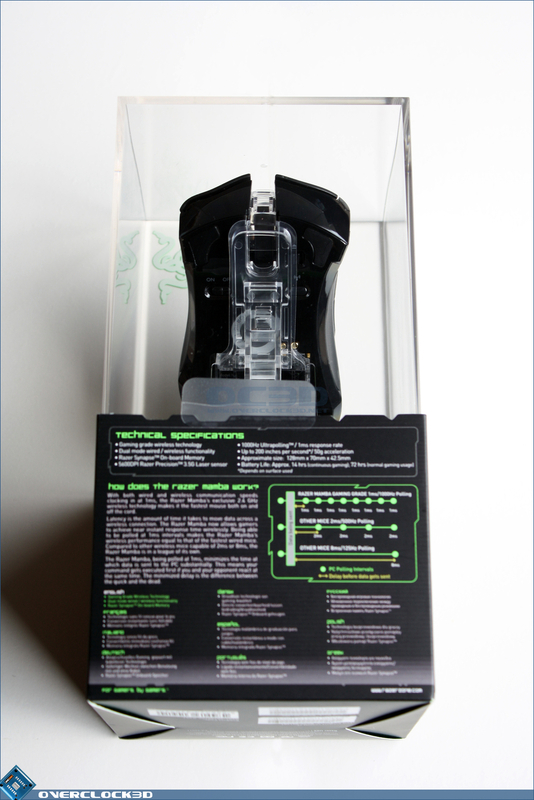 In the forefront we have a small folder full of warranty information, a quick start guide and the usual bundled leaflets that no-one reads.